If we gave you our checklist of essential pieces of furniture, you wouldn’t find “armchair” in the top 10. But that doesn’t mean we don’t stand by a great seat when we see one. Unlike a sofa or a loveseat, an armchair lets you soak in your surroundings in solitude. Whether used to frame an open-concept living room, anchor a lonely corner, or act as a bonus lounge by the bed, these extra supportive seats are the unsung heroes of a well-loved home. When it comes to shopping for armchairs, we have a few go-to brands we keep on file. With their own sense of style and pieces at varying price points, each of these essential stores comes with their own set of pros. Not sure which shop is right for you? Here’s a brief breakdown of our favorite brands. What to know: If you want a seat that makes a statement by way of color, print, or texture, Anthro’s luxe selection is all about flare. While prices go up for its cozy wool lounge chairs, you can snag a velvet armchair for less than $500. What to know: Decidedly minimalist and always well-made, Article’s streamlined collection sticks to classic silhouettes and approachable pricing. Bookmark this mid-range furniture brand if you want a chair that will effortlessly blend in with existing decor and withstand the test of time. What to know: Seemingly inspired by mid-century icons, you’ll find nods to Eames’s famous lounge chair and Arne Jacobsen’s 1958 Egg Chair in West Elm’s classic seating mix. Going for a vintage look? Their timeless lineup beats the expense of dropping a fortune on an original. What to know: Contrary to popular belief, you can find very stylish furniture on Amazon if you know where to look. 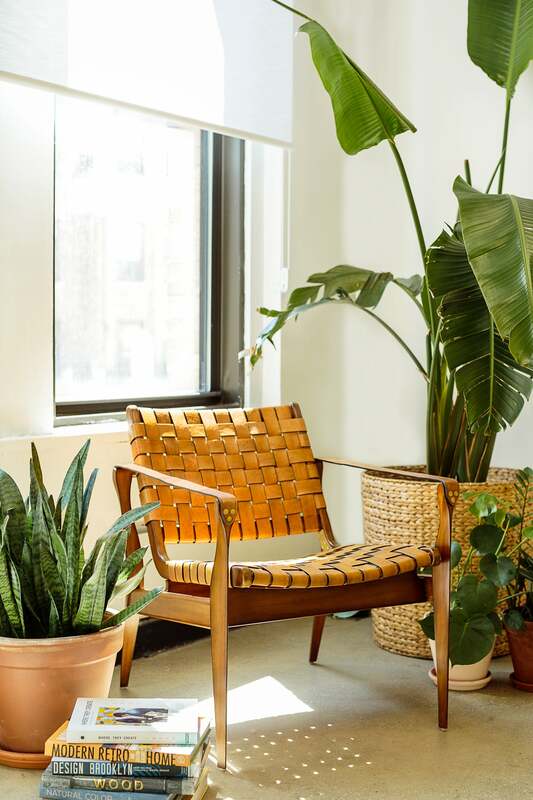 While we’re big fans of Jonathan Adler’s recently debuted Now House collection (and his retro Oyster chair), you can find chic and affordable seats from Rivet, Novogratz, Stone & Beam, Greenforest, and other noteworthy retailers on the site. What to know: You don’t have to own a vacation home to love Serena and Lily’s beachy aesthetic. Beloved for their crisp whites, true navy blues, and unwavering use of rattan, shop here if “ocean breeze” and “sunny vibes” are on your must-have list. What to know: For first apartments and beyond, Target’s two leading home decor brands, Project 62 and Opalhouse, tick just about every box on our home decor checklist. Along with a great selection of luxe-looking wingback chairs, the retailer also carries a ton of rad rocking chairs fitting for any nursery or cozy library nook. What to know: Velvet lovers don’t need to look any further. ABC Home’s sumptuous assemblage of armchairs spans the rainbow. Go for a sleek, modern look with a copper-toned, low-slung frame or a simple gray Milo Baughman swivel seat—the choices are (almost) endless. What to know: Want an armchair that’s 100 percent your own? Burrow’s chair comes in three stages: armchair, armchair with chaise, or armchair with ottoman. From there, you can customize your fabric, leg color, and arm height because comfort doesn’t look the same for everyone. What to know: If the idea of a loud wallpaper print scares you, consider bringing pattern in by way of upholstery. From bold florals to tie-dye stripes, World Market’s charming range of fabrics lets you test out wild prints before embracing them on a larger scale. What to know: One of the best ways to spark visual intriguing is through shape. While CB2’s palette sticks to tried-and-true neutrals, its texture-rich fabrics and mod silhouettes pack a much-needed punch.